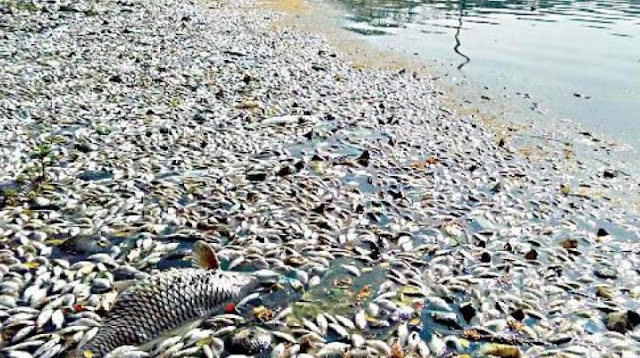 A day after mass fish deaths were reported from Shamirpet Lake, the Collector of Medchal, Mr. M.V. Reddy, asked the fisheries department to launch an inquiry into the issue, suspecting heat wave to be the cause. The inquiry, headed by District Fisheries Officer E. Balliah found that bacterial infection due to heat wave conditions killed the fishes in around a week. He also issued a number of guidelines for fishermen groups to follow to prevent such problems like harvesting fishes before morning, ensuring 2 meters of water in the tank at all times and sprinkling lime in the lake. The DFO have also ordered to identify vulnerable tanks and advise local fishermen about harvesting techniques.